Have you ever thought about what sugar is doing to your health? Everyone likes the occasional sweet indulgence, but excess sugar can have an impact on your overall health. In addition to weight gain, you could experience tooth decay, an imbalance in your blood sugar levels, inflammation, and much more. 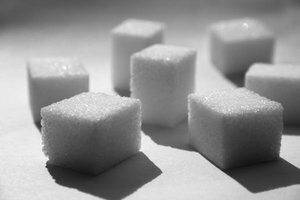 With North Americans consuming around 22 teaspoons of sugar each day and even more for children, it’s more important than ever to get our sugar intake in check. Take a look at how sugar impacts your health and how to regain control. In addition to putting your body at risk for these health issues, you’ll be depleting yourself of essential vitamins and minerals. It’s also increases the excretion of some of the important vitamins and minerals leading to hormone imbalances. Too much sugar can lead to a depletion of calcium, vitamin E, magnesium, potassium, B vitamins, chromium and phosphorus. You’ll be likely to excrete calcium and magnesium when you urinate which sets you up for a higher chance of osteoporosis. It only takes two teaspoons of sugar to raise your calcium levels and decrease your phosphorus levels leading to an imbalance of all of your other essential minerals. North Americans consume around their own body weight in sugar each year and part of the reason is that it’s highly addicted. Many generations ago Americans were only consuming around 5lbs per year, but today we regularly consume 12ounce cans of soda, candy at the movie theater, and ice cream on hot summer days. Your soda alone will give you 10 teaspoons of sugar or 1/4th cup and that’s just one beverage in your day, not counting the sugars in desserts, dinner bread, condiments, and your morning juice. Since sugar wasn’t always so common, our bodies weren’t designed to handle refined sugar well. Sugar was only really obtained through fruits that were also nutritious and seasonal. Today we add sugar to our fruits or include fruits in our sugar desserts. Any type of sugar consumption is likely to cause cravings for more since sugar is so addicting. While sugar has an impact on your overall health, you can make the decision to quit entirely or majorly decrease it. Get educated on sugar in food and wean yourself off so that you can avoid hormone imbalance, a deficient in vitamins in your boy, and your risk of serious health conditions. Do you suffer from carpal tunnel syndrome and feel like you’ve tried everything to recover from the symptoms associated with it? You may not have realized that your chiropractic care can acutely help with your CTS symptoms. It’s a common condition with more people getting diagnosed every year and being one of the most common surgeries performed here in North America. Common symptoms of CTS of tingling, burning, and numbness make it difficult to function on a daily basis, and you may even find that it’s a challenge to properly grasp things. While surgery and other treatments are available, chiropractic care may actually be the best non-invasive option. Take a look at what it can do for you. If you’re just learning about the condition, Carpal Tunnel Syndrome is a condition in which portions of the hand lose or are limited in feeling and movement due to swelling of the carpal tunnel; the narrow passageway in the wrist that allows the median nerve to pass through the tunnel extending from the spine to the hand. This condition can happen in men or women, but it is more likely to occur in women for reasons unknown. The condition is somewhat difficult to diagnose and it can be a challenge to pinpoint where the issue began. For example, sometimes repetitive motions can cause the condition, such as a construction worker or typing, while in other cases, it could be caused by genetics or from having a smaller carpal tunnel than others. When diagnosing the condition, the symptoms are often confused with arthritis, disc degeneration in the cervical portion of the spine causing median nerve irritation, or subluxations. It’s easy to misdiagnose with one of these conditions since they show the same symptoms of numbing or tingling. Your medical doctor has likely had you scheduled for surgery or offered an invasive treatment option such as steroid injections. Unfortunately, these are the most common treatment options and almost half of the time, surgical treatment isn’t successful. This is likely because many times patients have been misdiagnosed. When you get alternative, non-invasive treatment such as Chiropractic care, you offer your body a natural solution before attempting anything more invasive. When you suspect you have CTS, you can talk to us about Chiropractic care to correct the problem before have drugs or surgery administered. As a Chiropractor, we are already familiar with adjusting the body to get things back to normal by gently adjusting areas of concern such as your wrist, elbow, or cervical spine where the median nerve originates. Rather than allowing the pain to continue and damage to occur to your hand or thumb, you can get the Chiropractic adjustments you need to get your body back into working order. What’s Causing Your Elbow Pain? Are you experiencing elbow pain but you can’t seem to find the source of the problem? Often referred to as the “funny bone,” your elbow is a very sensitive place with many nerves running through the area. When you bump the ulnar nerve running through the elbow, you end up with that “funny” feeling that goes away shortly later. When you have pain in the area, it’s sometimes referred to as “tennis elbow” or “golfer’s elbow;” but, what are these different elbow injuries and why does the area get injured easily? Take a look below to better understand your elbow pain and what’s causing it. If you’ve ever experienced elbow pain, you know how frustrating it can be and how helpless you feel in trying to treat it. It also can debilitate you in doing any regular activity, from picking up a glass of water to driving your car. It’s an area that we overuse but we also can’t go without using. If you work in a profession or have a hobby that involves much gripping or sitting at a desk and typing all day, you are likely to develop elbow problems over time. Left untreated, these issues can get very serious. Elbow pain can range from the medial area to the lateral area, depending on the injury. Pain at the medial part of the elbow, or the inside part, is referred to as golfer’s elbow, and can happen when there is repeatable or excess stress to the area, especially when you make forceful finger and wrist motions. On the other hand, you have tennis elbow which refers to the outside or lateral epicondylitis, where the muscles of your forearm in which you use to extend the fingers and wrist, are the most affected. Your elbow pain could also be a result of a simple sprain or strain to the area, a fracture if you’ve broken a bone, or a dislocation. If it’s something that has been developing over time, it could be related to a more chronic type of condition such as arthritis, carpal tunnel syndrome, tendinitis, or bursitis. Why do we injure the elbow easily? Simply put, we tend to injure the elbow because it’s used so often throughout the day. You can’t pick up your coffee or get dressed for the day without using it. When you become athletic, you begin to use the elbow more frequently and can result in overuse or using incorrectly. You can sometimes treat the pain symptoms at home if it’s an inflammation from a long day, but in most cases it’s best to see a professional. Even without sports in your life, you may be overusing your elbow at your office desk or gripping something often whether it’s a bar at the gym or your golf clubs. While a minor discomfort can be treated at home with rest and an ice pack, untreated elbow injuries are serious. They need to be treated properly from the start because they will get worse if left alone. Regardless of where the injury is, you’ll end up with either weak extensors on the lateral side, or flexors that are too tight on the medial side. Seeing us right away is step one to avoid loss of function or activity level. You’ll be able to diagnose the root of the problem and start correcting the issue with adjustments and therapeutic stretches. In severe cases, surgery may be necessary but an early diagnosis can prevent you from losing function or the issue exacerbating. Are you experiencing numbness or shooting pain from in the elbow, arm, or hands? You need to meet with your us right away to figure out what’s causing your elbow pain and to get it treated professionally in order to avoid a more serious injury or a chronic condition from forming.